Man’s best friend is as loyal as can be. He’d never break a promise or stray from your side. 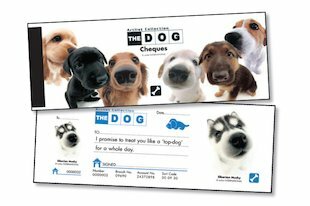 Now you can get tails wagging with your own adorable pup promises to pull out and give to your best friends. You can promise to take your friend for a walk, to save them a seat beside you, or even to make them breakfast in bed. Get tails wagging. Get ears pricking. Get everyone snuffling and bounding with glee! Give a pup promise to a pal! Now you can also create your very own dog, play games, earn bones and explore in The Dog World !